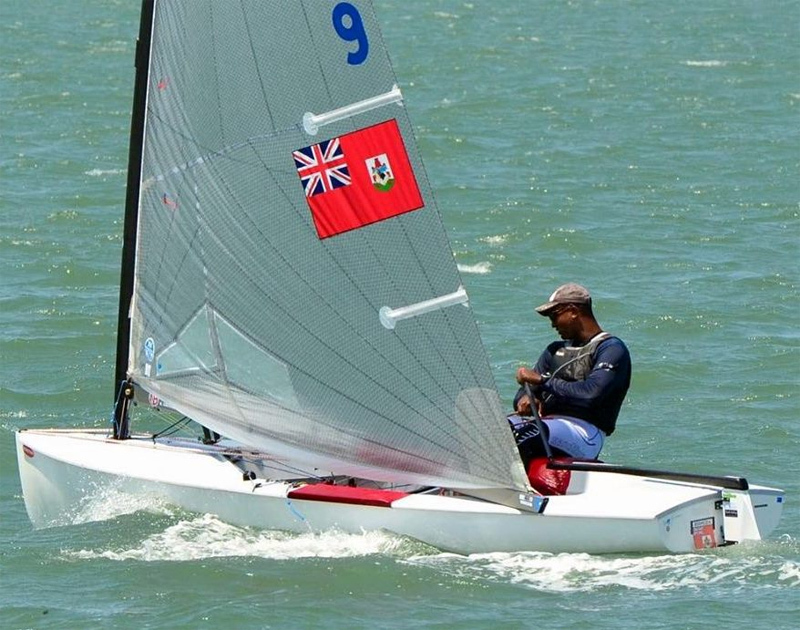 Bermuda’s Rockal Evans and Campbell Patton are taking part in the Sail Sydney Olympic Class Sailing Regatta in Australia. After finishing 3rd in the Brisbane Olympic Sailing Regatta over the weekend, Evans was looking to take that form into this Regatta. Two races were sailed on the opening day in the Finn Class with Evans coming off the water in 14th place after finishes of 14th and 11th for a total of 25 points. Ed Wright leads the fleet with 3 points, while Nicholas Heiner is second with 4 points and Josh Junior is third with 8 points. Two races were also sailed on the opening day in the Laser Radial Open where Patton finished in 14th place. He finished the first race in 14th and then he finished 13th in the second race to finish with 27 points. Otto Henry leads the fleet with 5 points, Zac West is second with 7 points and Stefan Elliorr-Shircore is third with 9 points.